There are many pros to hosting events in art galleries. 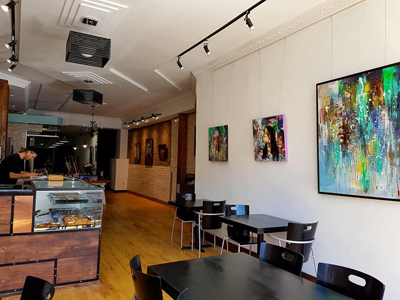 In addition to supporting the arts and cultural community and showcasing artists, galleries are typically elegant, blank canvases, usually white and bright with flattering lighting. On-site artwork makes for awesome décor and Instagram-worthy backdrops. Gallery: The Museum of Contemporary Art Toronto (MOCA) in the Junction Triangle area. Art Focus: Canadian and international contemporary art and cultural practices that engage conversation and address issues and themes relevant to our times. 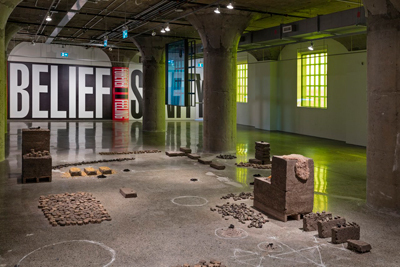 The Space: After moving from Queen West three years ago, MOCA re-opened in September in its new forever home, occupying the first five floors of the 10-storey Tower Automotive Building located in this artsy community hub. Spanning over 55,000 sq. ft., the space beautifully retains the building’s century-old industrial vibe with replicas of its original windows, polished concrete floors and signature “mushroom” pillars. Host Here: Currently, the main floor and lobby are the staging grounds for events of up to 200 guests. The 5th floor will open soon to events, providing a smaller space for talks and intimate receptions for up to 60 people. It comes with its own kitchen and back-of-house area. From May to August, the 2nd floor will also be available for events like weddings of up to 220 guests. Amenities: A dedicated kitchen prep space is in the basement. In addition to two passenger elevators, there’s a freight elevator that services floors 1 to 3. Value-add: Evening buyouts open the door to night-at-the-museum experiences with all exhibit floors open for exploration. Guided tours are also available to private events. Gallery: In partnership with INK Entertainment, Taglialatella Galleries is now part of the Yorkville scene as the first Canadian location for the renowned art gallery. Founded in 1978, the gallery also has locations in New York, Palm Beach and Paris. Art Focus: Contemporary and modern art showcases the ultra-cool, iconic work of renowned pop and street artists including Banksy, Mr. Brainwash, Jeff Koons, Andy Warhol, and more. The Space: A 925-sq.-ft. open concept room is divided between two levels. The gallery has a standing capacity of 56 in the lower space and 15 in the upper area. Host Here: Cocktail parties work best in the gallery, which has the ability to utilize the two levels in different ways. Interior walls can be reconfigured to create a customized event space. Amenities: A shared lobby connects the gallery to Sofia, INK’s latest restaurant-lounge. Pull the highly-stylized fine-dining restaurant into event action. Red velvet seating, mirrored pillars, white chandeliers and its own curated collection of art for sale make for a striking setting. Use it for post-gallery tour receptions, seated dining or for catering. The resto seats 150, including a semi-private dining area for 24, with additional space in the bar and on two patios. Both gallery and restaurant are available for private buy-out. Value-add: The pop and street art genre is typically bold, colourful and extremely popular today, especially with millennials and younger crowds. Toronto’s Taglialatella Galleries’ director is available to act as host/subject matter expert and speak with guests about the featured works and the contemporary art world. Gallery: Kandy Gallery at Hotel X Toronto, located on the grounds of Exhibition Place. It’s the second Kandy Gallery in Canada; a third is set to open soon in Dallas. 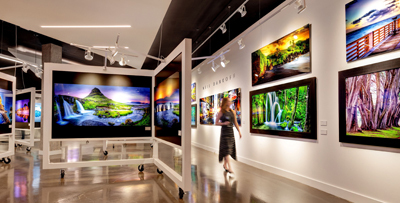 Art Focus: The gallery is home to the awe-inspiring landscape and panoramic photography of professional lens-man Neil Dankoff. The Toronto-based artist’s work is also on display throughout the hotel, a commission of 800 original photographs, the largest fine-arts transaction in Canada. 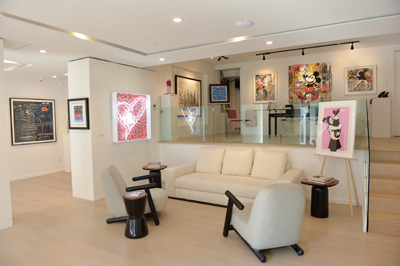 The Space: Located just off the hotel’s lobby, the sleek-looking gallery enjoys about 2,400 sq. ft. of open-concept space. Mobile art walls configure the room to crowd size and event need. Prominent angles and rainbow-hued tubular installations add ceiling interest. An integration of black makes the photographic art pop off white display surfaces. Host Here: The gallery accommodates about 140 guests and is perfect for cocktail receptions, product launches and intimate gatherings. Create a progressive event by combining the gallery with other event spaces within the hotel. Amenities: Hotel X’s food and beverage department can handle details, from full-on event co-ordination to catering only. The gallery is fully equipped with state-of-the-art audio-visual including art-quality lighting and flat screen TV. Value-add: Arrange for Dankoff to speak to his favourite pieces in the collection and share the adventures that have taken him and his camera around the world. Gallery: An initiative of the not-for-profit Canadian National Exhibition Association (CNEA), Withrow Common opened earlier this year at Exhibition Place, on the west side of the Queen Elizabeth Building. Art Focus: Workshops with activities that support community, innovation, agriculture and art along with multi-media exhibits that celebrate emerging artists, diversity, and Toronto’s heritage, including treasures and images from the CNE’s archives. 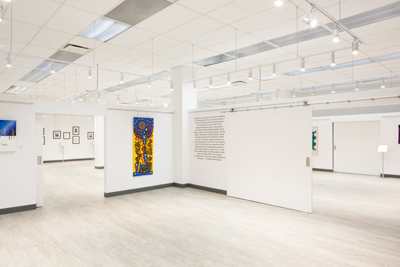 The Space: At just over 2,600-sq.-ft., the multi-functional gallery, designed to fit the building’s mid-century Modernist heritage, offers high ceilings and a professional art hanging system. Room layout is divided into four pods with wide sliding doors to guide traffic flow throughout. The largest area is 1,200 sq. ft.; the entire gallery has a total capacity of 200 reception-style. Host Here: At this time, art exhibits are seasonal, however, the space is open to private events year-round, making it an additional venue option for conferences and events happening within the Queen Elizabeth Building or elsewhere on Exhibition grounds. Amenities: A kitchenette (no stove/oven) helps with catering prep. Overhead and track lighting is ample. Audio-visual is also available including a flat screen TV and microphone-speaker system. Value-add: Providing affordable event space to the community is part of the gallery’s mission. There’s easy to access from TTC and main thoroughfares and it is surrounded by loads of parking. Gallery: Art House Toronto is a sweet store-front café-gallery at College and Dovercourt. Art Focus: Art House, a membership-based gallery, not only spotlights a rotating collection of its local artists but also provides members, and the public, with studio space for drawing, painting and other creative pursuits. The Space: The atelier-style gallery offers an industrial-meets-modern setting, modelled for a 1910-20s Bauhaus-De Stijl feel with prominent vertical and horizontal lines, and lots of black, white with some primary colour. Exposed brick backdrops the front-of-house bistro-style café, which enjoys lots of natural light from large street-facing windows. There’s a mix of modern and antique furnishings. Black curtains cordon off the fully equipped studio-work area at the back. Host Here: Tap into the venue’s artistic energy and creative talent by booking instructor-led workshops including paint nights and art talks. The entire space is available for rent with a total capacity of about 100, or use just the studio, which can accommodate a group of about 12. The studio also makes a good staging area for live bands and presentations. On-site Amenities: As a licensed venue, the café’s service counter makes for a handy bar or self-serve catering station. There’s also an in-house sound system. Value-add: Owner-artist Giselle Selim can help curate on-site events and co-ordinate art-based group activities, supplies included, as well as artist and musician appearances and catering from local restaurants.